Silver Dolphin Books, 9781684127504, 32pp. Fun and playful story by Margaret Wise Brown, author of the children's classics Goodnight Moon and Runaway Bunny. Animals have fathers, just like you. Fathers that play with them, care for them, and love them. 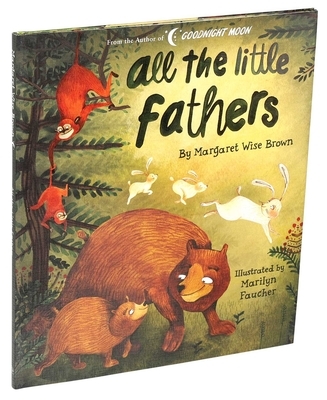 All the fathers are looking after their children in this fun and playful story by Margaret Wise Brown, author of the children's classics Goodnight Moon and Runaway Bunny. Having received honors for her illustration work, Marilyn Faucher has developed a style that is both sensitive and full of life. Marilyn lends her contemporary style to stationery as well as children's books, and is beautifully exemplified in her portrayal of the many animal relationships of All the Little Fathers by Margaret Wise Brown. She lives in Montreal.